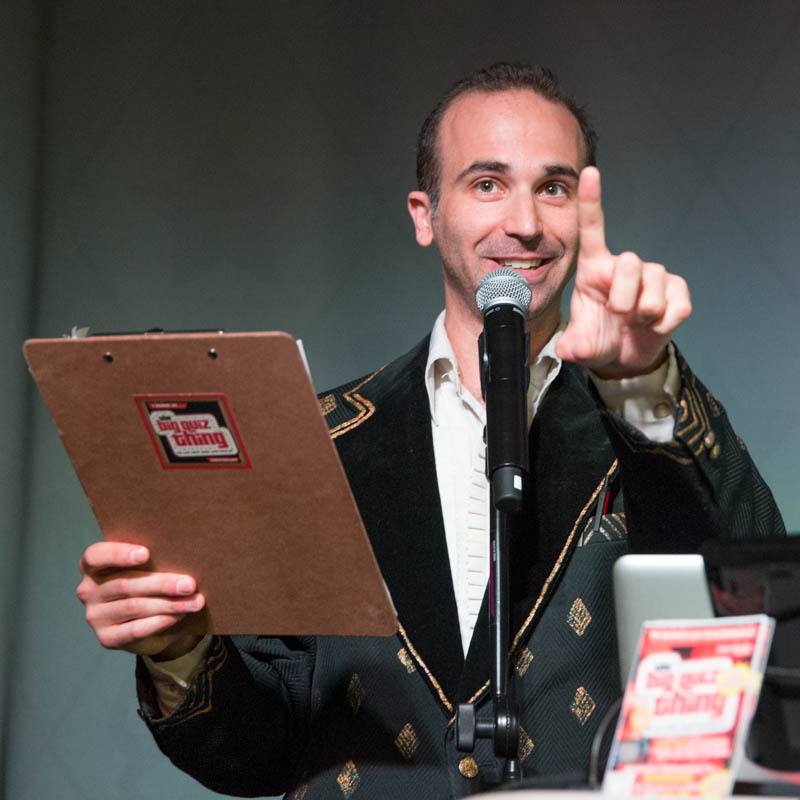 The Big Quiz Thing: Trivia fundraisers: Entertaining and enlightening! Trivia fundraisers: Entertaining and enlightening! 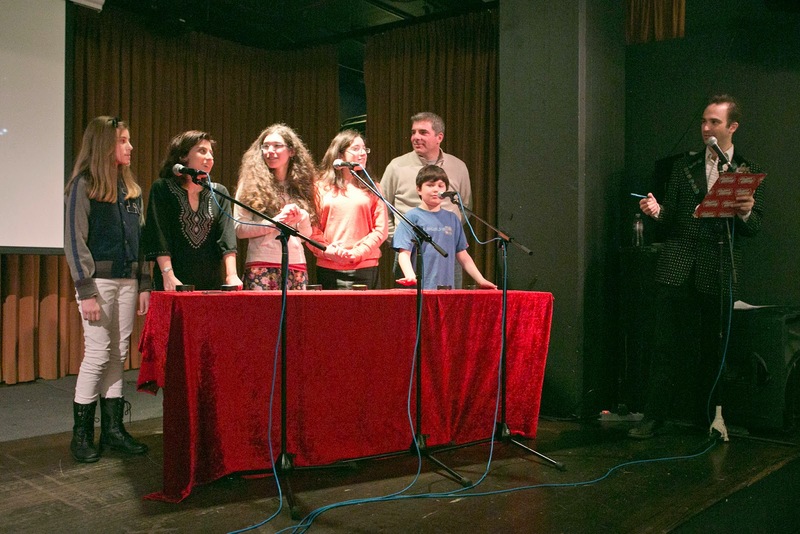 In the Big Quiz Thing’s long history of customized quiz events, we’ve designed trivia fundraisers for many a worthy charitable organization, among them those focused on those most vital of services, education. Perhaps those are the most important organizations: After all, the children are our future, a wise woman once declared. A quiz show is the perfect entertainment for an educational fundraiser since, let’s face it, a trivia game is itself educational. Sure, playing the BQT event isn’t going to earn you a Ph.D. (unless you're getting your degree in how to write the perfect trivia question), but I'd argue that the typical BQT attendee leaves a little smarter than when they arrived (smarter being a relative term). Naturally, we’ve picked up a few useful tricks for how to adapt our format for more enlightening purposes than mere trivial diversion. Last year, the BQT partnered with a fantastic organization, Breakthrough New York. BTNY, in its own words, is “a non-profit organization that transforms the lives of motivated, low-income students by preparing them for college so that they can succeed in the world,” running topflight after-school educational programs. 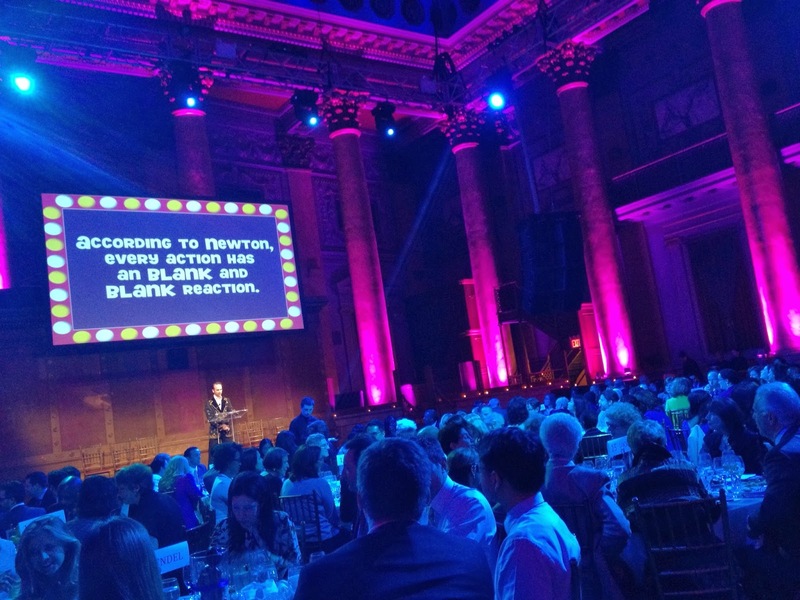 As part of its annual big-ticket gala (at the absolutely splendid Capitale in Chinatown), they asked us to help them design and stage an “Are You Smarter than a Breakthrough Student?”–themed event—a quiz in which the adult attendees tested their knowledge of the BTNY curriculum. Great idea for an educational fundraiser, right? For most custom events, I don’t write a top-to-bottom new set of questions; we do offer a bespoke-trivia option, but it’s rare that a company asks for an entirely new collection of material. This, however, was such a rare instance, and perhaps the most fun we had doing one: The BTNY staff sent me reams of its curriculum—science, grammar, literature, and more—for a variety ages, and I pored through it, crafting questions that reflected both the organization’s ethos and the BQT style of creative trivia. (In other words, fun and "figureoutable" trivia questions, not just asking players to parrot back facts they learned lo those many years ago.) Take, for example, the one in that photo above: not too tough, though still not a complete gimme. But with all corporate and private events, it’s important to keep the focus on the client (we’re the hired help, after all). With trivia fundraisers, that’s even more important: The guests need to remember what cause they’re supporting (and why). And in Breakthrough New York’s case, we wanted to spotlight their young scholars: the kids whose lives they transform, as it were. So EdP and I broke out a gimmick that we’d used very successfully at a previous educational fundraiser (for the equally worthy Building Educated Leaders for Life): We visited a Breakthrough school one afternoon, and recruited a few of the more outgoing kids to ask a few questions on camera, and screened it for the guests at the gala, effectively letting each kid serve as quizmaster for a question. It was an effective touch, and for EdP and me, a fun one (the more we work with kids in any capacity, the more we enjoy it; take our recent success with the Big Family Quiz Thing public event). The show was a terrific hit (here's an interview with the adult winner), so Breakthrough has recruited us for its 2014 gala. It’ll be happening Tuesday, April 29, this time at Tribeca Rooftop (EdP is making a site visit this week to know what to expect techwise; something we do for any event, big or small). If you’re the charitable-gala type, consider it unmissable—a great cause, excellent food and drink, and, of course, primo entertainment. And I’m just now starting to once again dive into the BTNY curriculum, coming up with this year’s batch of multimedia trivia, designating questions for youngsters to once again ask on camera, and fondly remembering my own long-ago education (what exactly are the differences between equilateral, isosceles, and scalene triangles? ), adapting it for my adult avocation. The late-’80s faculty at South Orange Middle School is proud, I’m sure. Interested in your own BQT trivia fundraiser? Of course you are…but if you need more convincing, read on here about our entire custom-trivia program. And then get in touch with us, at booking@bigquizthing.com, and let’s talk. The Big Quiz Thing: Making learning (and fundraising) fun. Cet ensemble particulier nike chaussure bebe garcon est simplement parmi la liste des couleurs les plus claires qui ont frappé les marchands Nike qui contiennent des choses JD Sports à faire. Cependant, vous devrez peut-être envisager le new balance beige pas cher guide étape par étape et les pointeurs décrits ci-dessous pour faire de votre promotion globale de la marque une réalité. La science basket new balance noir homme et la technologie est généralement composé sur le fond des chaussures, qui est fait dans les matériaux moussants traditionnels pour Nike Air Max Command Femme améliorer le trou de mousse pour les rendre plus délicates. Un type de traitement que les thérapeutes utilisent est une marche nike air max 1 essential femme blanc nordique. Ce type est plus léger que toute autre technologie d'absorption des chocs dans l'histoire de Nike. En outre, vous pouvez obtenir ces chaussures dans new balance 999 femme cherry blossom une variété de coloris.